We love pepperoni in our house. Recently, we had the opportunity to try Armour's new Pepperoni with Cheese. What a great combination, right? My husband decided we should use them to make a snack that we used to make in college. It is so quick and easy. 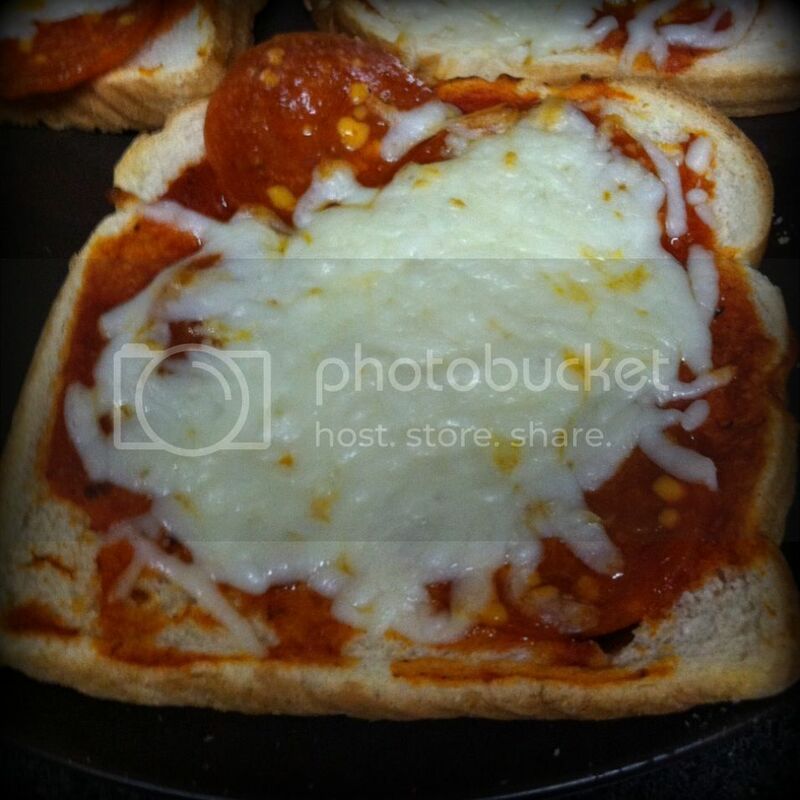 All you need is Armour Pepperoni with Cheese, Bread, Pizza Sauce and Mozzarella Cheese. You just layer all of those ingredients as if you were making a pizza. We put ours in the toaster oven at 350 for about 10 minutes. Then viola! Mini pizzas that are so easy to make! We thought the Armour Pepperoni with Cheese was a great addition to our snack. It is thicker than regular pepperoni and you can see the cheese right inside the pepperoni. It also made a great snack just all by itself! We plan on picking some more up the next time we go shopping. You can learn more about Armour Pepperoni with Cheese on Facebook.